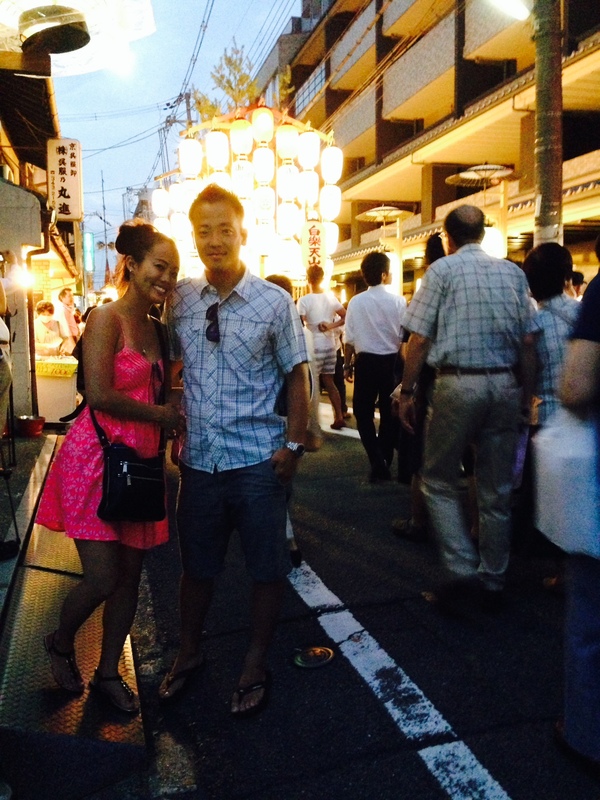 You can watch the youtube clip of we made of the Gion Festival. I never experienced being surrounded by so many people in my whole entire life. I felt like I was in Disneyland, but during Christmas and multiplied by several more thousand people. I even had a couple of people step on my foot without even recognizing that they did. 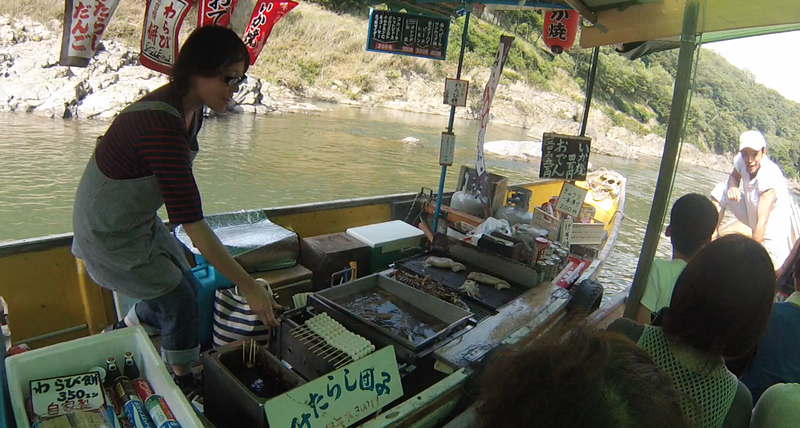 The atmosphere was bustling with people selling delicious Japanese pancakes called Okonomiyaki and games where children can catch gold fish to take home. During the festival, they had the most important parade where thousands of people dressed in white hold the shrine called Otabisho. It is believed that the shrine gives good fortune. 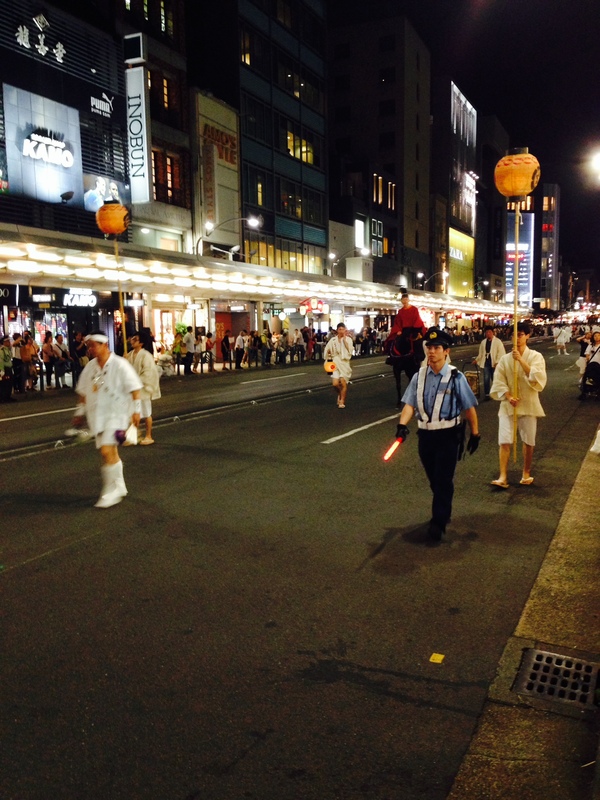 The festival is one month long and they travel all around Kyoto to their final destination. 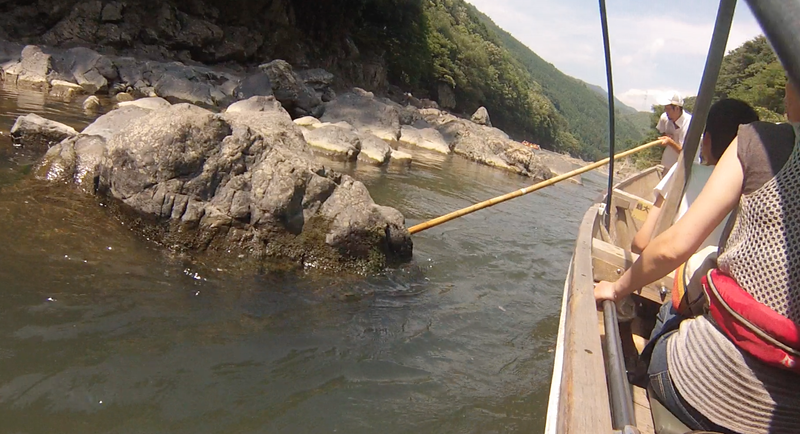 Here is a photo of how they use the long oar to travel. There is an imprint on the rock from the oar due to thousands of years of people using the same route to carry many different things such as logs, rice, and charcoal from one destination to another. Towards the end of our tour, they had another boat selling food and drinks. 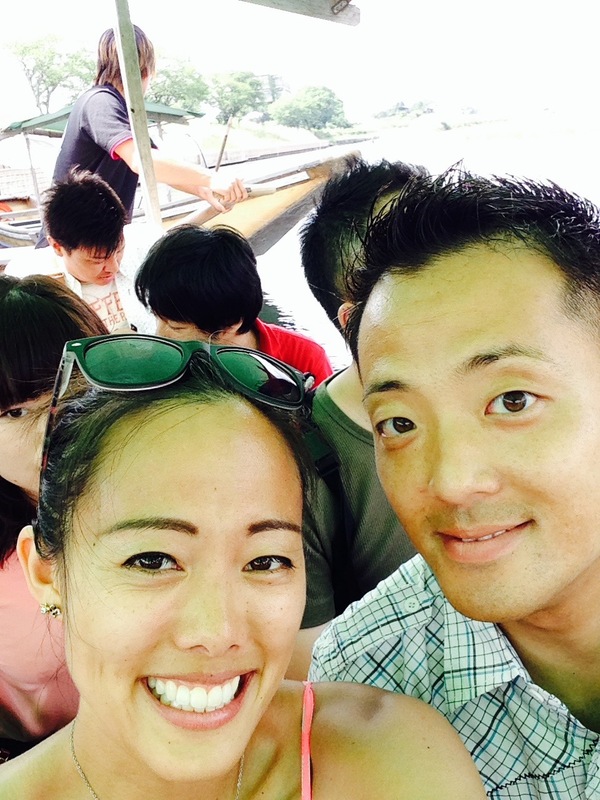 This was definitely a once in a lifetime experience eating delicious sticky rice and cooked squid on a moving boat. You must try if you ever take this tour! 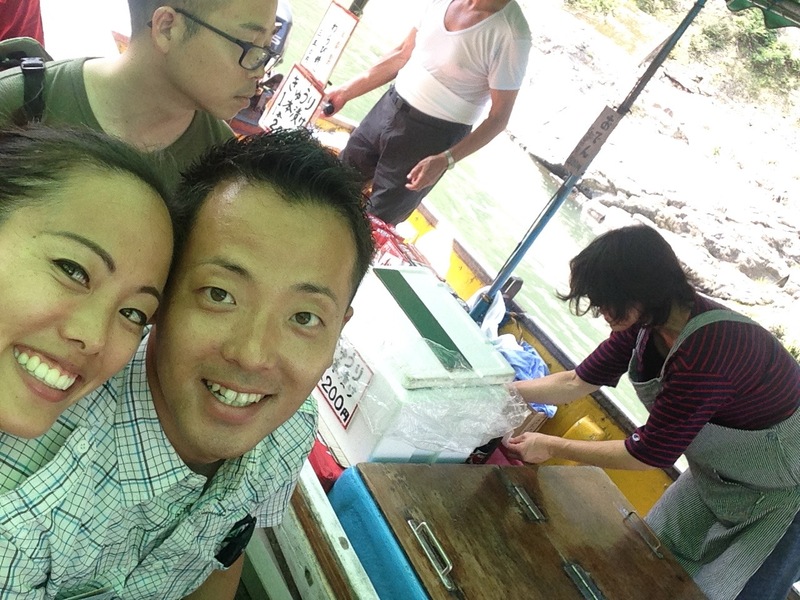 This entry was posted in Travel and tagged arashiyama kyoto boat ride, arashiyama river boat ride, gion matsuri festival, gion matsuri japanese festival, gion matsuri map, hozugawa boat trip, hozugawa kudari, hozugawa rafting, hozugawa river cruise, hozugawa river cruise review, japan blog, japan blog travel, japan boat cruise, kyoto, kyoto japan, kyoto japan guide, kyoto river, kyoto river boat ride. Bookmark the permalink. ← Thinking of Having Your Honeymoon in Tahiti?